A major addition to the literature of poetry, Edward Hirsch’s sparkling new work is a compilation of forms, devices, groups, movements, isms, aesthetics, rhetorical terms, and folklore—a book that all readers, writers, teachers, and students of poetry will return to over and over. 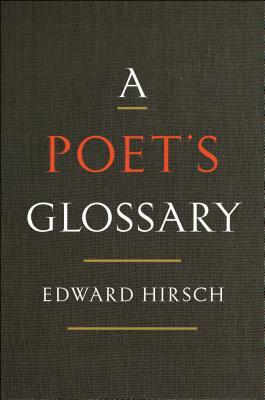 EDWARD HIRSCH is a celebrated poet and peerless advocate for poetry. A MacArthur fellow, he has published nine books of poems and five books of prose. He has received numerous awards and fellowships, including a National Endowment for the Arts Fellowship, the Rome Prize, a Pablo Neruda Presidential Medal of Honor, and the American Academy of Arts and Letters Award for Literature. He serves as president of the John Simon Guggenheim Memorial Foundation and lives in Brooklyn.